0.25mm ultra-thin film provides HD transparency, ensuring maximum resolution for Retina display as well as true touch sensitivity. Oleophobic plating coat can easily separate oil, fingerprint and other stains from the glass, making it easy to clean up. 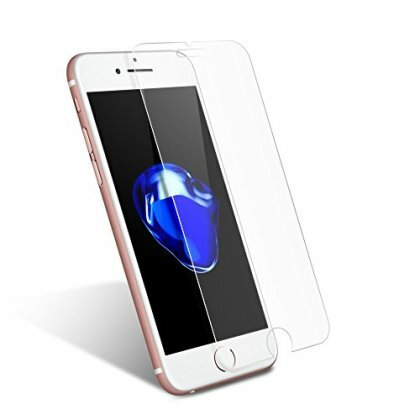 Tempered glass screen protector provides screen protection from smudge, bumps, water, drops, scrapes and marks. This product is sold exclusively by Coolreall. Please buy from authorized Coolreall official seller so as to enjoy genuine Coolreall products and superb customer service. Package includes screen protector, welcome guide, wet wipe, microfiber cloth, dust removal sticker.